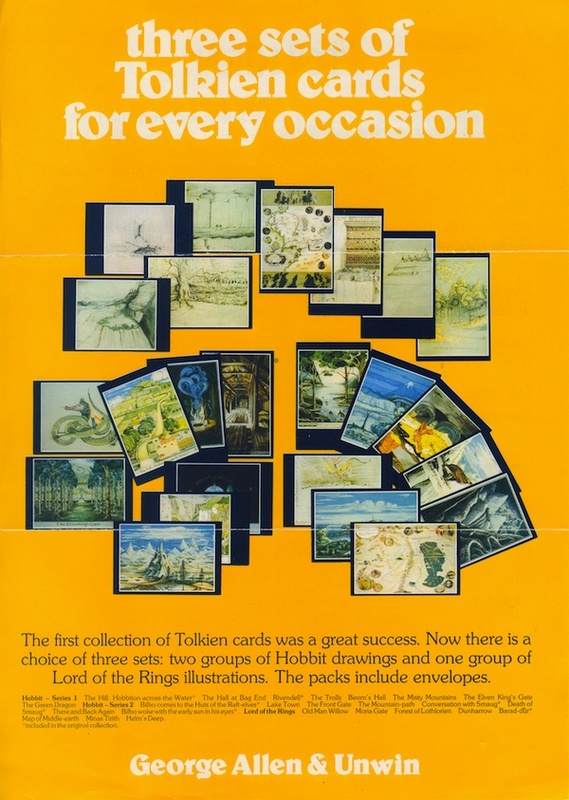 Please post any advertising images from Tolkien's publishers that you have in this thread. 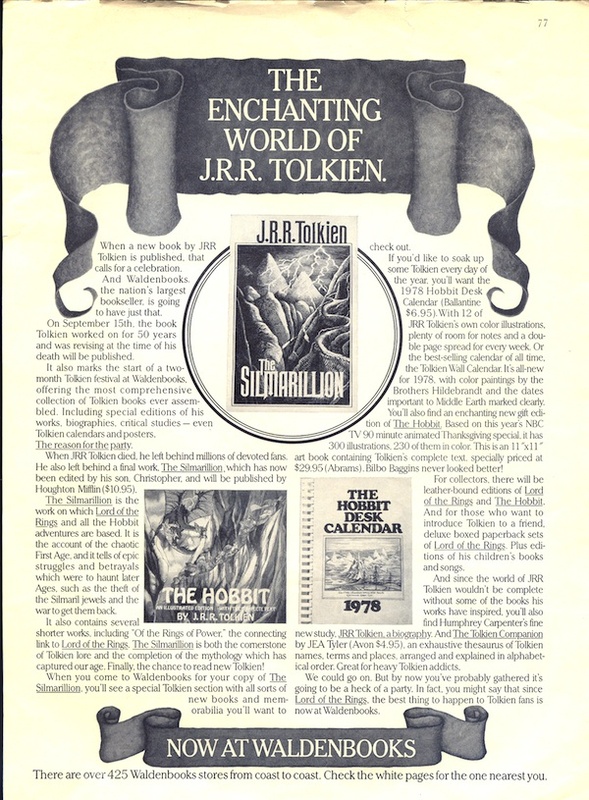 Waldenbooks (bookseller here in the USA back in the seventies and eighties) ad for Silmarillion release. 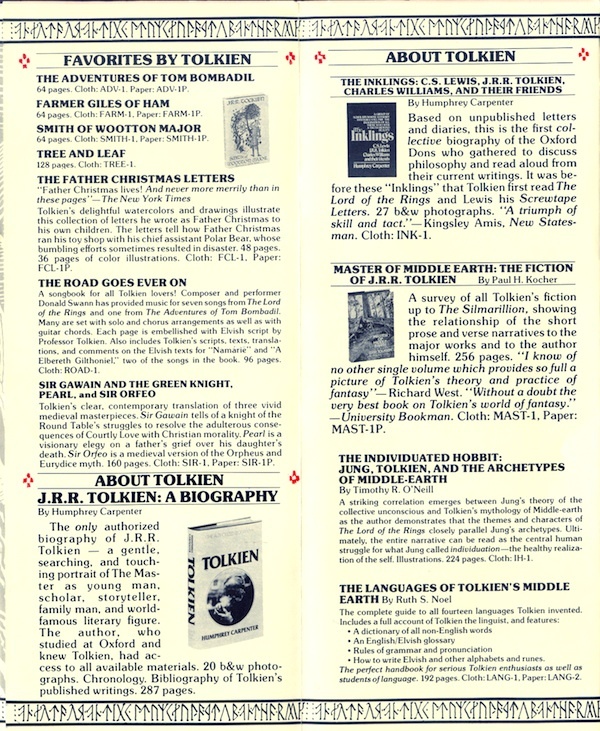 Not quite a publisher advert but similar enough I thought I would include it when I ran across it. 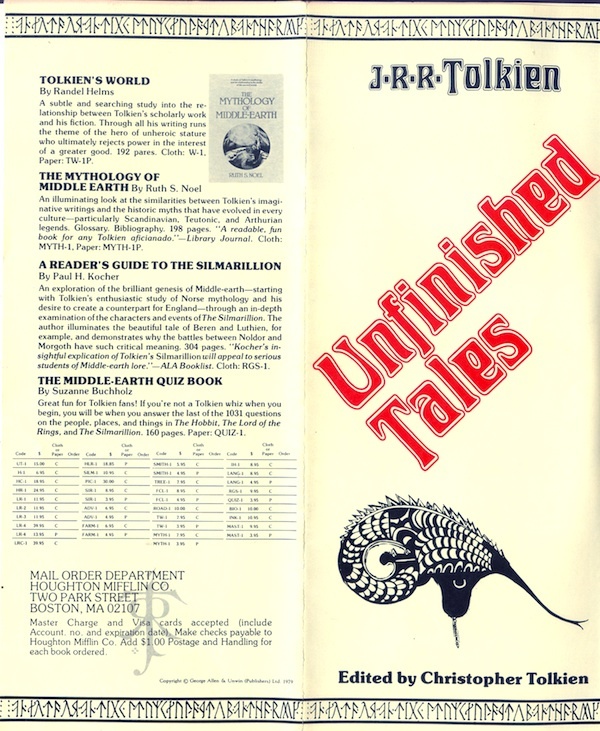 Unfinished Tales mini catalog (pre-release) from Houghton Mifflin to booksellers. 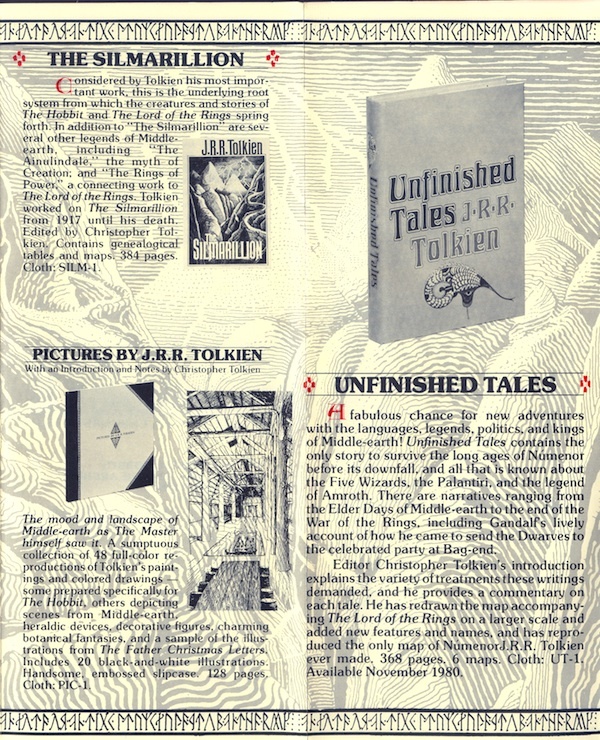 Weird folding pattern that didn't scan well, might include a photo soon that shows what order the panels go when you open it up. Anybody have any idea when this was issued, I would guess 1964. 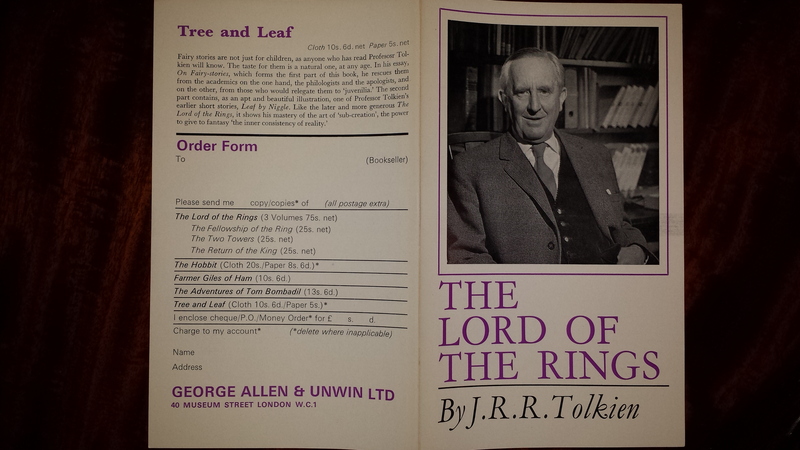 It is included with a set of 1950's UK Lord of the Rings. 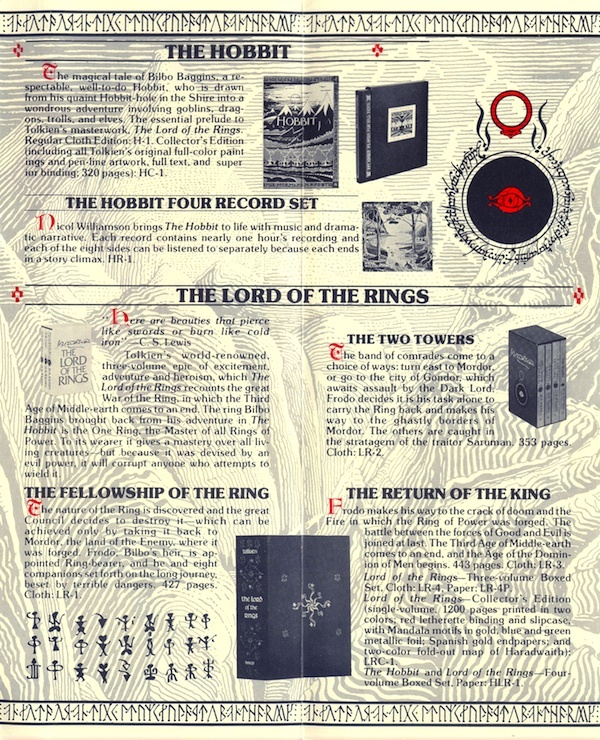 Couldn't enlarge the photo to read (but have one of these somewhere). Could you scan it and post it here? I'll root it out when I get home later today and see what I can do. I've got one of these. Not at home to check, but my booklist says 1966. 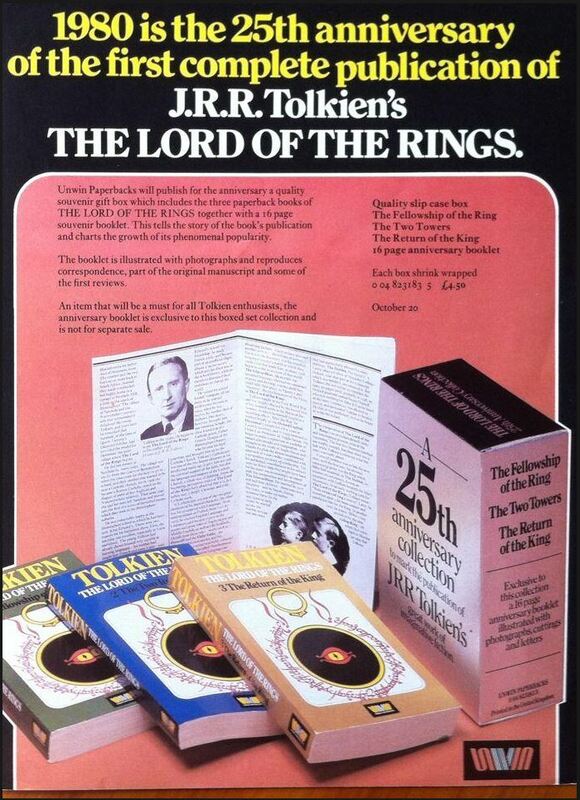 The leaflet mentions the 3 volumes of the Lord of the Rings at 25s each - so this must be the 1966 Second Edition. 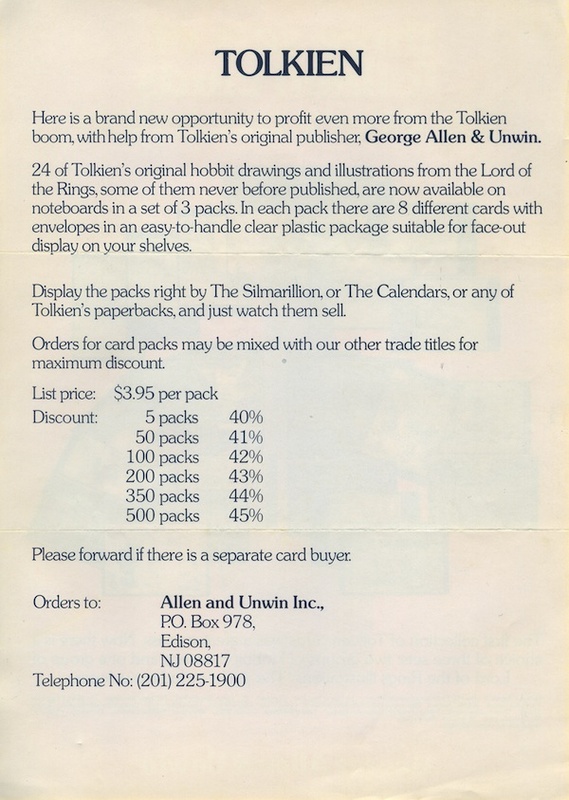 Also I had a GA&U promo letter filed with this leaflet (I think I purchased the leaflet and letter together). 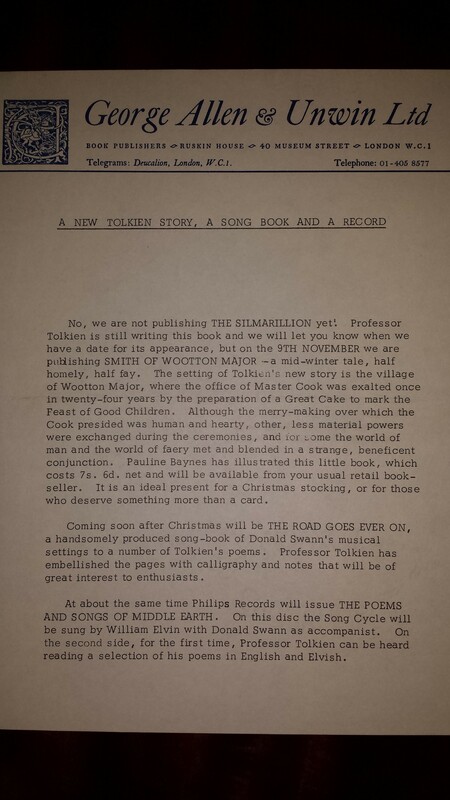 The Letter mentions the publication of Smith & Wootton Major in November - so this dates the letter to 1967. 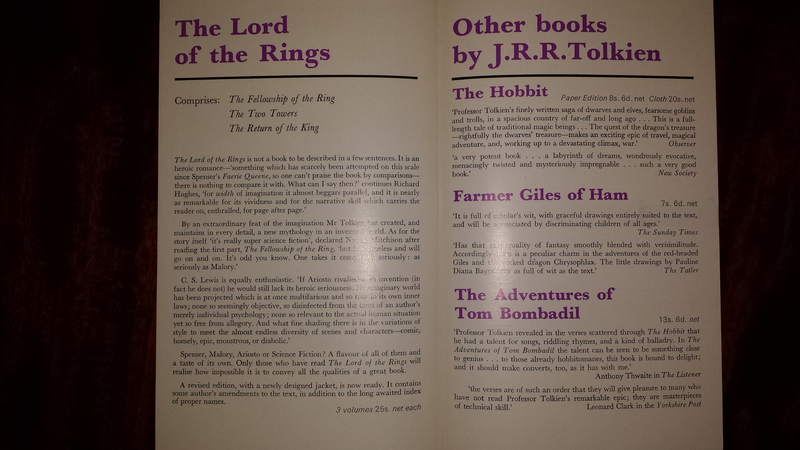 Whether the leaflet and letter were issued together:- Not sure on that one. Anyway, 1966/67 seems to be the timeframe.